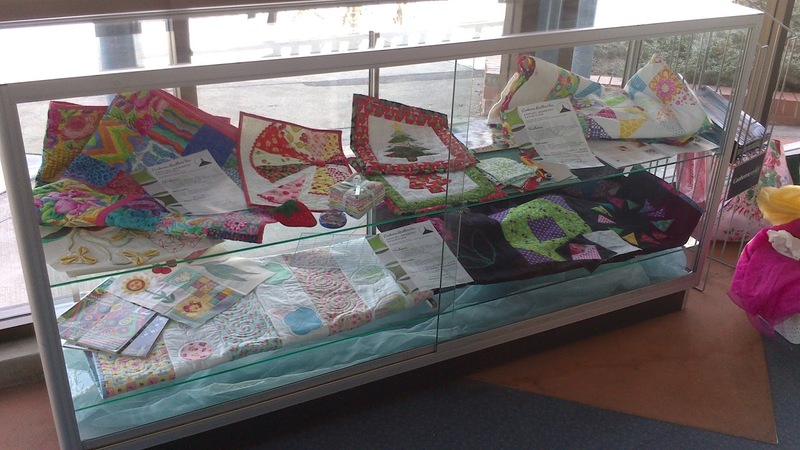 Thank You to the Library Display Teams | Canberra Quilters Inc.
Hello Again, it’s your friendly Exhibition Coordinator here. The Exhibition is only 4 sleeps away now! If you’ve been to one of Canberra’s great libraries recently you may have caught a glimpse of the fabulous displays that our ladies have put together to help spread the word about the Exhibition. I wanted to say a big THANK YOU to all the ladies that helped put together the displays. I really appreciate the time and effort you all went to to make them look so fabulous. Thank you! A quick reminder, if you have raffle tickets they need to be returned to Melinda Coupland Thorne (our Raffle Coordinator Extraordinaire) by Saturday August 10.